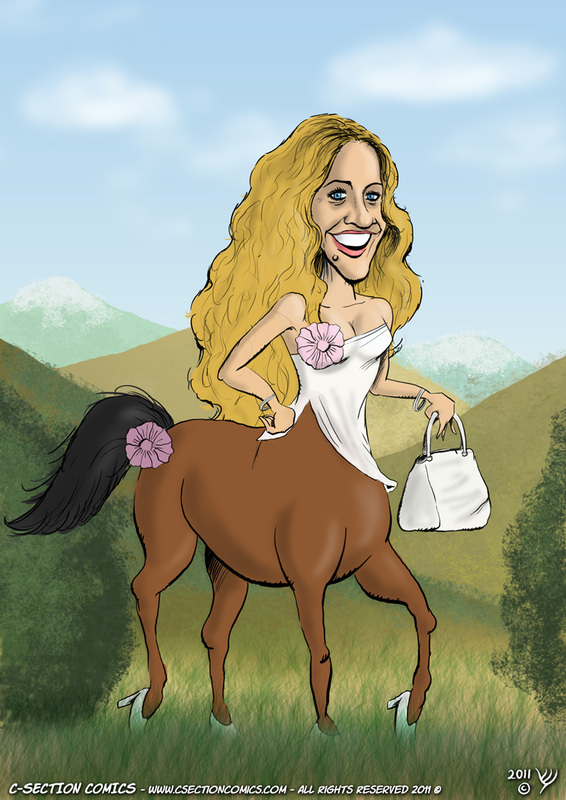 Half human, half horse, 100% Sarah Jessica Parker. Inspired by this old meme and Larry Elmore’s Lyria. A few months ago I published a cartoon about how iPhone, Android and BlackBerry users see each other, which became viral and still draws a lot of attention across the web. Earlier today a fan posted this post on the C-Section Comics Facebook wall, asking me to include Windows Phone users. Since this was the 1,000th time I got such a request, I went ahead and drew the follow-up cartoon above. @Hansa, I loosely based the Windows Phone user after your Facebook profile pic. 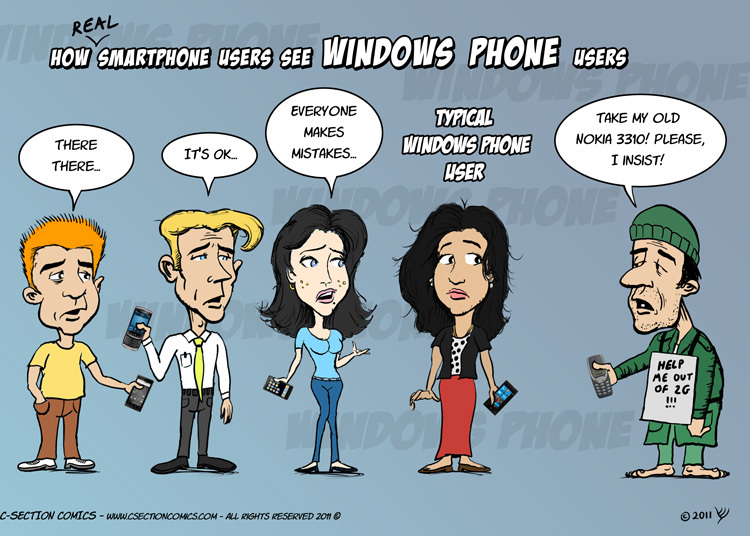 Hope that’s ok with you, but I really had no other choice – I wanted the cartoon to be authentic and I don’t know anyone else who uses Windows Mobile (except this guy who once got it as a gift and now lives in a secluded cave far from civilization). C-Section Comics thinks Charlie Sheen is the studliest thing the world has seen since Chuck Norris decided to shave his armpits. Boys and girls, thank you all so much for your support! Here’s to a great-funny-cartoony-2011!